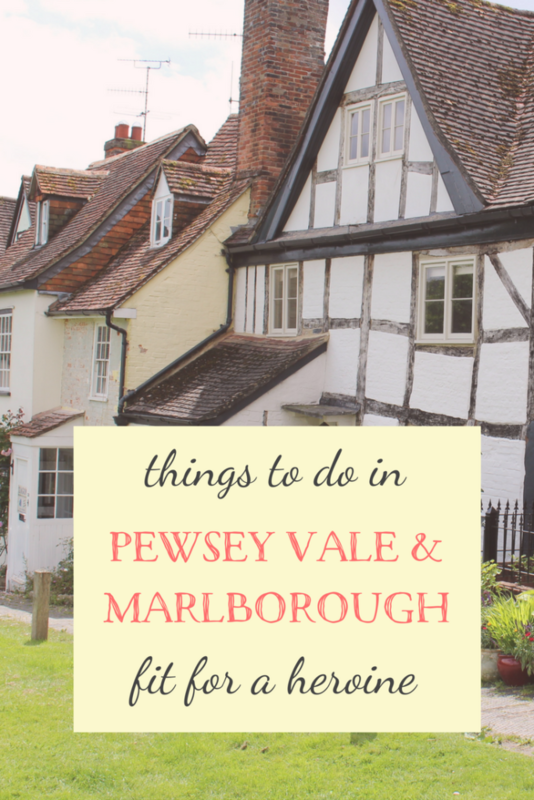 Just over an hour from London, Pewsey Vale is the perfect place to do just that. Hop aboard the train at Paddington station, with a good book, a map or two, and the excited anticipation of what awaits you. You will travel through glorious Wiltshire countryside en route to Pewsey where your adventure begins. There’s nothing like leaving the hustle and bustle of the city behind, and arriving in a village where you can smell wood smoke from the cottages and the peace and quiet washes over you. Explore the history and natural beauty of Pewsey. 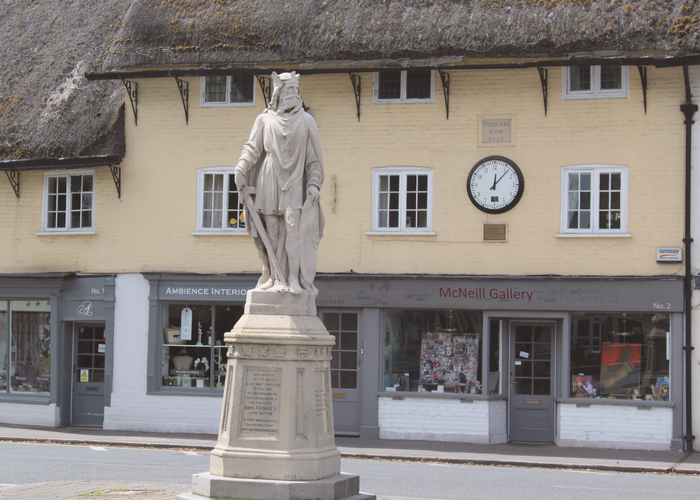 When you arrive, take the 10 minute walk into Pewsey, where at the heart of the village you’ll spot the statue of King Alfred who was crowned King of Wessex in 870 CE and owned much of the land in Pewsey Vale. There are several independent shops in Pewsey, including the delightful florist that sells a selection of flowers, plants, and gifts, along with the village gallery that has some beautiful artwork for sale. If you want to learn more about the area – the Heritage Centre just off the high street is worth a look. My advice would be to visit Pewsey Wednesday – Saturday when more of the shops are open. After a short wander around the village, admiring the historic cottages (some thatched) soak up the tranquillity of the natural surroundings, and head towards the canal and local Jones’s Mill Nature Reserve to explore some of nature’s delights. Alternatively, you can pick up a copy of the Pewsey Rambles book at the village tea rooms and head out on your own adventure. After some waterside refreshment at the Waterfront Bar and Bistro on the canal, just pop over the road and across to the bus stop that will take you the short 10-15 minute trip into the nearby market town of Marlborough. You’ll arrive in the High Street where the next part of the day’s exploration begins. Eat cake at Polly’s Tea Rooms. First things first – lunch! If you’re looking for a taste of old England, then head to Polly’s tea rooms and indulge in a civilised feast of homemade sandwiches and CAKE! Every heroine needs cake. Established in 1912, Polly’s is one of the best privately owned tea rooms in England, and was recently ranked 15th in the The Sunday Telegraph’s top 30 places in the UK for afternoon tea. “Both poet John Betjeman and the Duchess of Cambridge have sat at its linen covered tables”. Climb the tower at St. Peter’s Church. Once you’re fully fuelled with tasty delights, it’s time to get those itchy feet moving again. A great place to start would be to climb the 139 steps of the St. Peter’s Church tower at the end of the High Street. Tours of the tower are available most Saturdays and Bank Holidays between Easter and early October, and are available at other times by appointment. Once you get to the top you’ll be treated to the most glorious views across Marlborough and beyond. Breathe in all that fresh country air! Go on a shopping adventure. Marlborough also has some great shops to explore; favourites include The Merchant’s House, a unique 17th century house, which was home to silk merchant Thomas Bayly. The shop has a lovely selection of gifts from Emma Bridgwater and L’Occitane amongst others. Tours of the house and gardens are also available. A true heroine also loves to feed her imagination and intellect. Marlborough has just the place for this – Whitehorse Book Shop – literary heaven! So, take a pew and enjoy some quiet time. They also have an art supplies area on the lower ground floor if you feel like getting your creative juices flowing. Pick up some antiques or some shabby chic for your home at The Cat’s Whiskers on Kingsbury Street, then head to Sound Knowledge – a fantastic independent record shop that also organises small gigs in the town. Fill your ears with whatever music takes your fancy, and lifts your spirit! Seek out some of Marlborough’s hidden historical and artistic gems. It’s worth taking the time to potter around the side streets of Marlborough and take a short walk to The Green where you can find a collection of higgledy piggledy homes that ooze history and character. 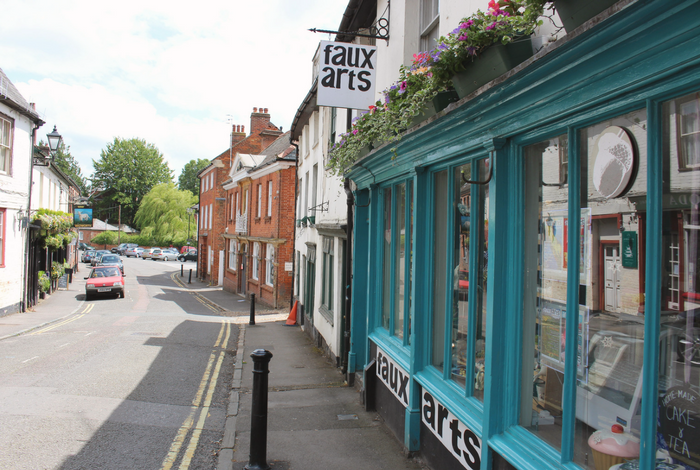 Hidden away on The Parade, you’ll find Faux Arts Cafe and Studio – where you can create your own piece of art to take home with you. The owner, Sue, is very welcoming, and will show you her collection of pottery that is ready to paint in your own style, whilst enjoying a cuppa and more cake! Marlborough has a vibrant arts community, and is home to the annual ‘Open Studios’ event. This is an opportunity to visit both amateur and professional artists in their homes and studios. The photo below is of the talented ceramist and potter, Mary Thorne at last year’s Open Studios. 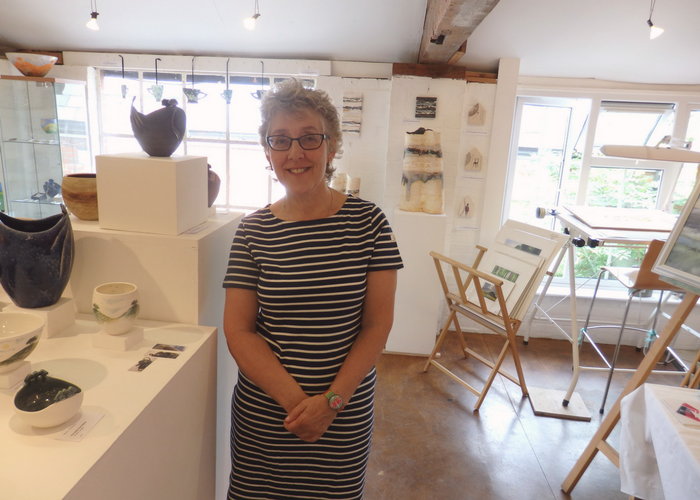 You can find Mary and other artists at The Wagon Yard in Marlborough; their workshop and gallery is open every Saturday 10am – 4pm and is definitely worth a browse. As your day draws to a close, you’ll probably need to seek out some more refreshment, and although Marlborough boasts a great selection of restaurants, I would personally recommend Rick Stein’s. Having visited recently, I can attest to the service being fantastic, and the food sublime. However, if you’re not a lover of fish, Dan’s is another good option. Cosy and intimate, they have an eclectic menu that will hopefully tickle your taste buds. As Oscar Wilde said, “After a good dinner one can forgive anybody, even one’s own relations”. Yes indeed! It’s now time to hop on the bus back to Pewsey for one last pit stop. An authentic trip to a country village wouldn’t be complete without visiting one of the pubs to meet the locals and spread some of your heroine magic. 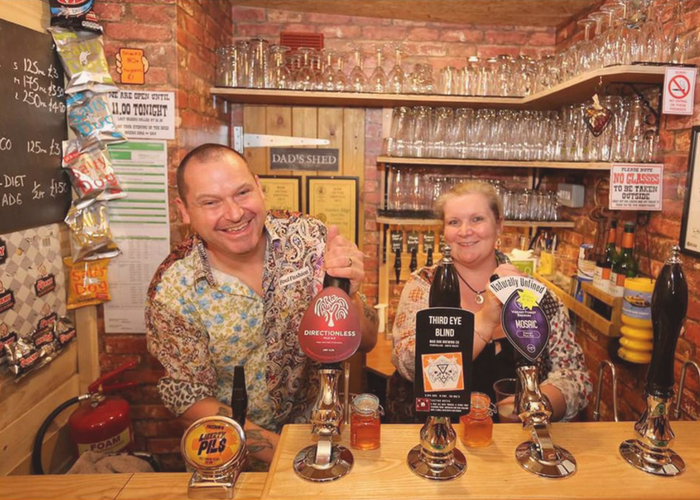 The Shed Alehouse opened in 2015 and is one of the smallest pubs you’ll find in the UK. Its charm comes from its owners Gordon and Sam, and its basic but homely surroundings as a place to come and meet friends and strangers alike. There is no distraction of loud music, television, or flickering games machines. They serve quality real ales and cider from microbreweries both locally and further afield. But, if you fancy a glass of fizz, you’ll also find Prosecco on offer. If you do decide to stay a little longer, you will also find friendly folk at the Coopers Arms pub, around a 10 minute walk from the high street. A cosy, down-to-earth thatched pub, tucked away on a quiet country road. 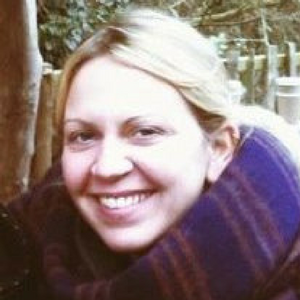 Run by the lovely Naomi, you will find a warm welcome, a great selection of ale and ciders, plus a roaring fire to warm beside. The Coopers Arms opens from 5pm on weekdays, and from 12pm at the weekend. It’s finally time to bid farewell to the Pewsey Vale, the wonderful people and landscapes that make it so special…until next time. I’m sure you’ll go away with joy in your heart and possibly having made some new friends in The Shed. Come back again soon! 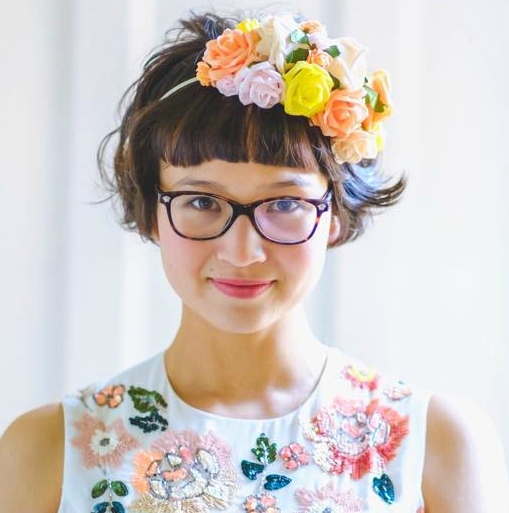 Emma [Little Piece of Wonder] lives in the Wiltshire countryside with her husband, and writes a lifestyle blog that celebrates the wonder of nature, creative living, and reconnecting with ourselves. Is your hometown the perfect fit for a heroine? I’m always looking for fabulous locals to contribute to this Fit for a Heroine travel guide series. If you’re interested in writing for Heroine Training, read the guidelines and get in touch. 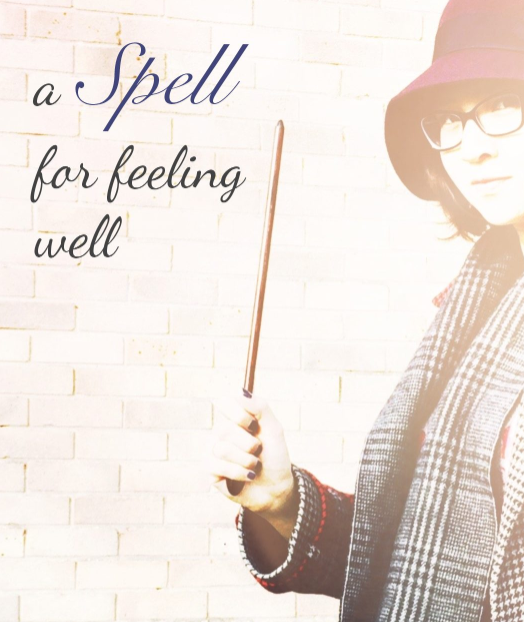 This guide is filed under HUFFLEPUFF for cosy pubs and intimate art experiences.